This is a work in progress. This page is intended to give a basic overview of the world in which the game is set. Not everything described here is available to be played on the grid, but it is all information that would be common knowledge to PCs ICly. Westeros is the name of the continent on which our game takes place. It is one of three in the known world, the others being Essos to the east, and the little-known Sothoryos to the south. Westeros is taken up almost entirely by the Seven Kingdoms, currently ruled by King Robert Baratheon, first of his name. North of the Seven Kingdoms lies the land beyond the Wall, the largely-uncharted regions in the far north of Westeros. Though called the Seven Kingdoms, there are in reality eight distinct regions within King Robert's lands. Each is ruled (in the king's name) by one of the kingdom's great houses. They were originally independent kingdoms, but were combined into one nation under the rule of House Targaryen during their war of conquest many centuries ago. 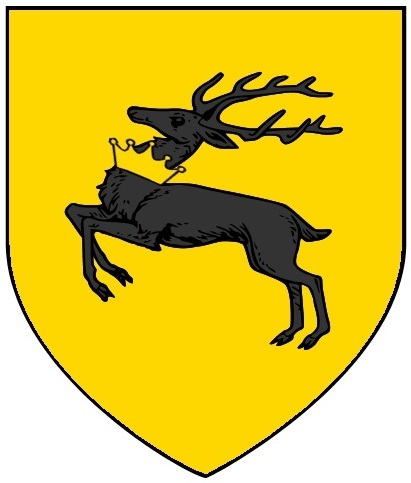 That house ruled the Seven Kingdoms for many years, until 283 (about 5 years before our game is set), when Robert Baratheon raised an army in rebellion. Having defeated the armies of King Aerys II Targaryen and his allies, Robert was himself crowned king, taking his seat on the Iron Throne and beginning a new dynasty in Westeros. The North is the largest of the seven kingdoms, making up almost half of its total area, though it is far more sparsely populated than the southern regions of the continent. It has been ruled by House Stark for thousands of years, first as kings, and now as Wardens of the North. From their seat at Winterfell, the Starks rule over the lands from the Wall in the north, where they border the wilds of the Haunted Forest, to the Neck in the south, where the Riverlands begin. The North is home to White Harbor, one of Westeros' largest cities. People of the North tend to be pale skinned and darker haired. Many are trained soldiers and warriors but few become knights, because they are more likely to believe in the Old Gods than The Seven. The North is often seen as a bastion of old ways and ancient traditions, having been less affected by the Targaryen invasion than the southern kingdoms. It is famous for the Wall, a 300 mile long wall built of ice that forms the northernmost border of the Seven Kingdoms. 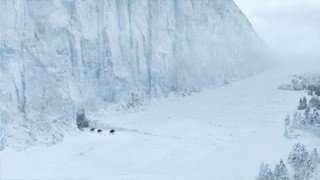 The Wall is manned by the Night's Watch, a military order dedicated to the defense of the realm from the people and creatures north of the border. In the sea to the West of the mainland lie the seven Iron Islands, ruled by House Greyjoy from their capital at Pyke. The largest of them is Great Wyk, followed by Harlaw, Pyke, Orkmont, Blacktyde, Saltcliffe, and Old Wyk. The sea around the isles is rough and storm-plagued, and they are rocky and lacking in safe harbors, a treacherous place to sail even for experienced seamen. The Ironborn, as the people of the islands are known, share little in common with their fellows to the east. Eschewing both the Old Gods and The Seven, they worship The Drowned God, a deity unique to the isles. They are a warlike people, known for piracy against ships as well as raids on coastal settlements. An independent kingdom prior to the conquest, they are known for their naval supremacy, and are both feared and hated by many along the coast of the Riverlands and the Westerlands. The Riverlands (the setting of Steel & Stone) is in many ways the heart of Westeros. 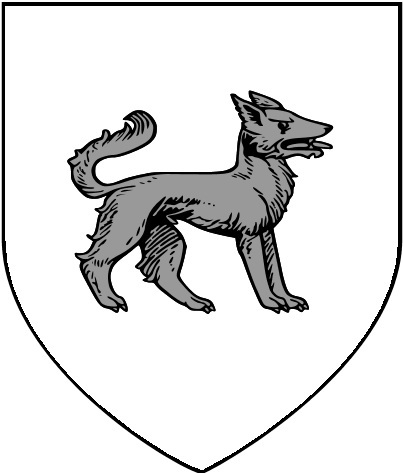 Ruled by House Tully, the Riverlands border the North at the Neck, the Westerlands to the southwest, and the Vale to the east. It is a region of fertile fields which produce much of the kingdom's food, and it is set between the three forks of the mighty river Trident, a major artery for trade. The wealth from agriculture and commerce as well as their central location make the Riverlands strategically one of the most important regions of Westeros. It also makes them a common battleground, and a favorite target of Ironborn raiders, who have for many years harried the western shores. Rivermen are stereotypically said to be loyal warriors, devout followers of the Seven, and jovial businessmen. They tend more often than not to have brown hair. 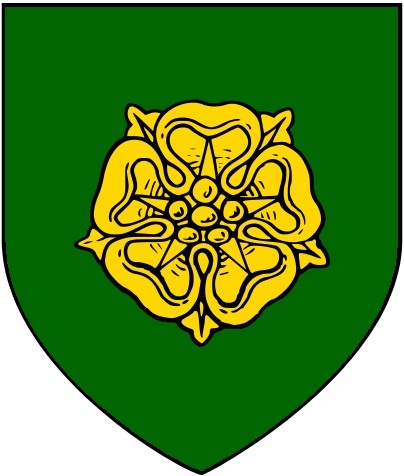 The Vale, or the Vale of Arryn, is the area to the east of the Riverlands. It is surrounded almost entirely by the Mountains of the Moon, from the King's Road to the tips of the Fingers, a series of narrow, fjord-like peninsulas stretching out into the sea. Its difficult geography makes the Vale somewhat isolated from the rest of the Seven Kingdoms. The mountains are difficult to cross and frequently troubled by rebellious clansmen, and winter snows cut the Vale off entirely. House Arryn's castle seat at the Eyrie is known to be unassailable even in the best of weather, accessible only by one narrow, cliff-skirting pass. Valemen are said to be steadfast, silent types, devout in their worship of the Seven. They mix most often with Northerners and Rivermen, and as such tend towards brown hair. By sea is perhaps the easiest way to access the Vale, and Gulltown, its main port, is one of the largest cities in Westeros. 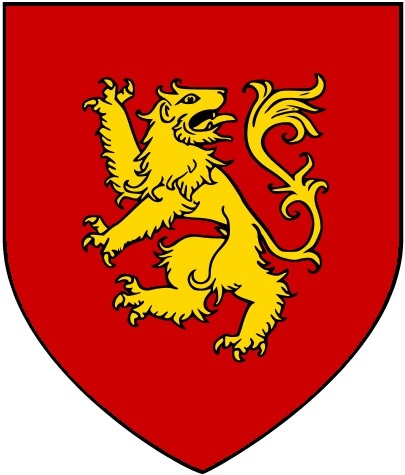 To the west of the Riverlands lie the Westerlands, home of House Lannister of Casterly Rock. A somewhat rocky region, the Westerlands are home to a prosperous mining industry, in particular a large number of gold mines. The hills provide a natural defense to the east, but the area is vulnerable from the sea, and often prey to Ironborn raids. The gold trade has made Lannisport one of the richest and busiest cities in the known world, and House Lannister is famously wealthy. They are perhaps best known for changing sides during Robert's rebellion, abandoning the cause of King Aerys to sack the capital and kill the Targaryen heirs. A daughter of House Lannister was made queen, binding the family's power and wealth to the new king's cause. 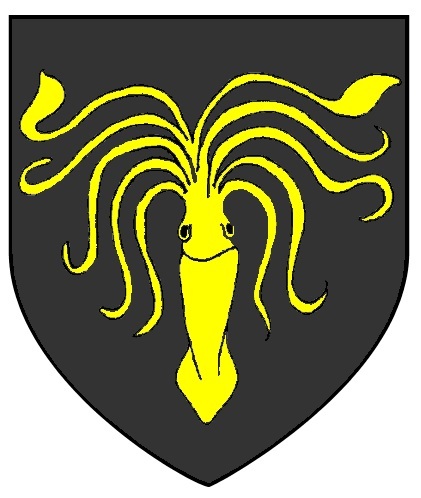 Perhaps partially painted by the Lannister brush, Westermen have a reputation for being shrewd, careful with their coin, and dangerous to cross. They are commonly blond or, as some like to say, golden-haired to match their money. Not technically one of the eight constituent regions of the Seven Kingdoms, the crown lands are those ruled directly by the king. They consist of the great capital city of King's Landing, home to the Red Keep in which King Robert sits on the Iron Throne. Much of the land surrounding the city is also under direct royal control, including the isle of Dragonstone. Centrally located, they share borders with the Vale, the Riverlands, the Reach, and the Stormlands. A largely coastal region stretching from King's Landing to the Sea of Dorne, the Stormlands are so named for the weather along their shores. Ruled for centuries by House Baratheon, their seat was at Storm's Landing until Robert became king in 283. The Stormlands are one of the smaller and less populated regions of Westeros, heavily forested and bordered by the rocky Dornish Marches. The people of the Stormlands are generally black haired and dark-eyed. Unsurprisingly, their reputation is for turbulent tempers, though this is just as likely an assumption based upon their name rather than truth. As a region trapped between historic enemies in the Reach and Dorne, the Stormlands is also known as a region of sturdy castles and vigilant knights. 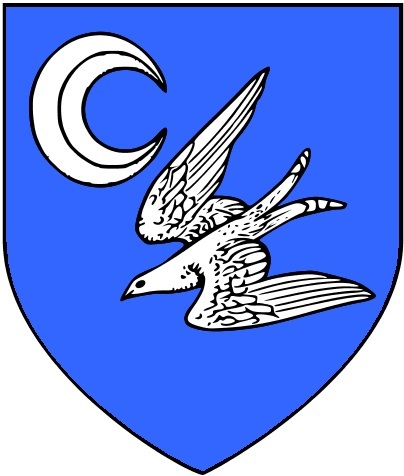 The largest and most heavily populated of the seven kingdoms, The Reach is ruled by House Tyrell. Their castle at Highgarden is centrally located in a region that stretches from the Riverlands in the north to Dorne and the sea in the south. Like the Riverlands, the Reach is a major agricultural region. It is also home to Oldtown, the oldest and second-largest city in the kingdom (after King's Landing). In addition to being a center of trade and commerce, Oldtown is also the location of the Citadel, where Maesters are taught and trained. The Reach is best known as the heart of chivalric knighthood in the realm. Knights are more highly revered in the region than anywhere else, and tournaments are both more common and more complicated than elsewhere in the kingdoms. 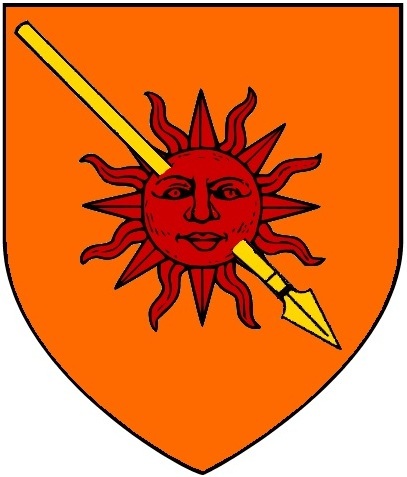 Beyond this, the Reach is best known for its rivalry with Dorne, an enmity stretching back many years, from which petty violence still springs in the long-disputed border regions of the Dornish Marches. The far south of Westeros is home to Dorne, a long peninsula stretching from the Red Mountains (which provide a buffer between it and the Reach) out into the Summer Sea. Descended from a different people than the rest of the Seven Kingdoms, the Dornish differ from their neighbors ethnically and culturally, beginning with the custom of calling their rulers 'Prince' and 'Princess' rather than 'Lord' and 'Lady'. This honor currently falls to House Martell, who rule the arid, rocky land from their capital at Sunspear. Dorne is still seen by the rest of the Seven Kingdoms as an exotic land, full of olive-skinned, hot-tempered people. Dornish goods, many of them unique in Westeros, are coveted, but available only to the very wealthy. Isolated as they are from the rest of the continent, Dornish people themselves are objects of both fascination and mistrust. There are several major organizations in the Seven Kingdoms that each of its citizens would likely know at least a little about. A military order, the Night's Watch stands guard along The Wall at the northern extremity of the kingdom. That massive barrier of snow and ice, which stretches the full width of the continent, was reportedly built thousands of years ago to protect against invasion by The Others, a race reported to live in the icy wastelands beyond the wall. The Night's Watch operates from several castles along the Wall, most notably Castle Black, their headquarters. Brothers of the Night's Watch (there are no Sisters) serve as rangers, builders, or stewards, but all give their lives to service, forsaking all ties to land or family, swearing vows of celibacy, and wearing only black. The punishment for desertion once the vow has been spoken is death. The order's numbers have dwindled over the centuries, from as many as ten thousand at their peak to their current low at less than one thousand. Service in the brotherhood was once considered an honor, and some noble families of the North still send younger sons as a matter of pride. But much of the Night Watch's force now is made up of conscripts - criminals given the choice to 'take the black', as it is called, in lieu of serving the sentence for their crimes. Disgraced knights and nobles who have fallen afoul of their political betters are also commonly sent to the Wall. The position of Lord Commander of the Knight's Watch is one elected by the brethren, and technically any member of the order can be chosen. In practice, however, the Lord Commander is most often a former knight and aristocrat. The Maesters are a group of academics - scholars, scientists, and healers, who are commonly found in advisory roles in the courts of the Seven Kingdoms. The order accepts only men, and all aspiring maesters must study at The Citadel, in Oldtown. 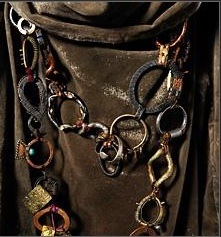 Maesters are known by the ceremonial chains that they wear, signifying their service to the people of Westeros. Forged from links of various metals, the length of and variety in the chain indicate the individual maester's accomplishments. Each metal corresponds to a different area of study, and having reached a certain level of mastery in that subject, a maester may add another link to his chain. Until he has forged a chain long enough to wear around his neck, he is considered an acolyte. After that training is complete, each maester forswears his surname and familial allegiances and is assigned to a holding, usually a keep or castle, and he serves its inhabitants as an adviser, healer, and teacher, as well as offering whatever expertise is his specialty. 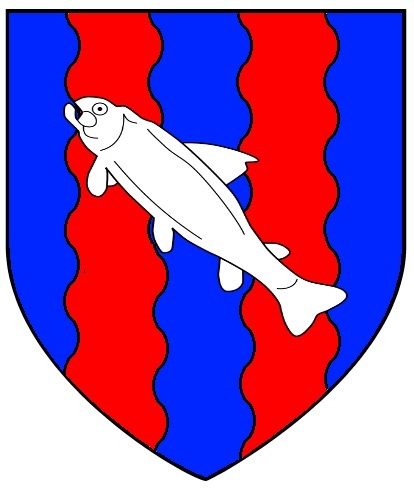 Officially politically neutral, maesters are bound not to the House or the Lord, but to the location, and theoretically remain with it even if it should change hands. In practice, maesters do exercise a certain measure of political influence in their role as counselors to the great men of the kingdom. The Grand Maester, head of the order, serves as its representative to the king, and sits on the king's small council. The Faith of the Seven is the dominant religion in the Seven Kingdoms of Westeros, and more information about it can be found here. The Faith is administered by Septons and Septas, essentially priests and priestesses of the faith. They may belong to different orders, and be sworn to the particular service of one of the Seven Gods, or may practice more generally. Septries are communities for septons, where many of them live together in a private enclave. Motherhouses are the equivalent for septas. Septas are also often used as governesses for young noblewomen. There are also orders of both septons and septas who wander the land, and are sometimes known as 'begging brothers' (or sisters). In addition there is an order known as the Silent Sisters, septas sworn to the service of the Stranger, who take vows of silence and assist in preparing the bodies of the dead. The governance of the faith is the job of the council of the Most Devout, a body of the highest ranking septons and septas in the land. At their head is the High Septon, the ultimate leader of the faith.